Model-perfect 4342 N Sunset Cliff Drive sold for 305K by Long Realty. 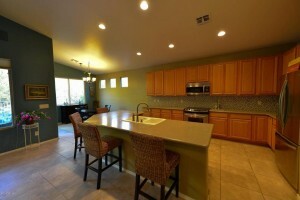 It had sold for 260K in March 2012, then the new buyers put new appliances and new carpeting in. This one-story home boasts almost 2,100 square feet and has 3 bedrooms, 2 1/2 baths and a two-car garage. Yesterday I listed 4268 N Ocotillo Canyon at 360K. This 2,236 square foot, Pepper-Viner built one-story boasts a 3 car garage, a screen porch with remote and almost new engineered hardwood floors. It really sparkes and should please the fussiest buyers. Additionally it has been one of the most popular floorplans and is the only one on the market at the present time. 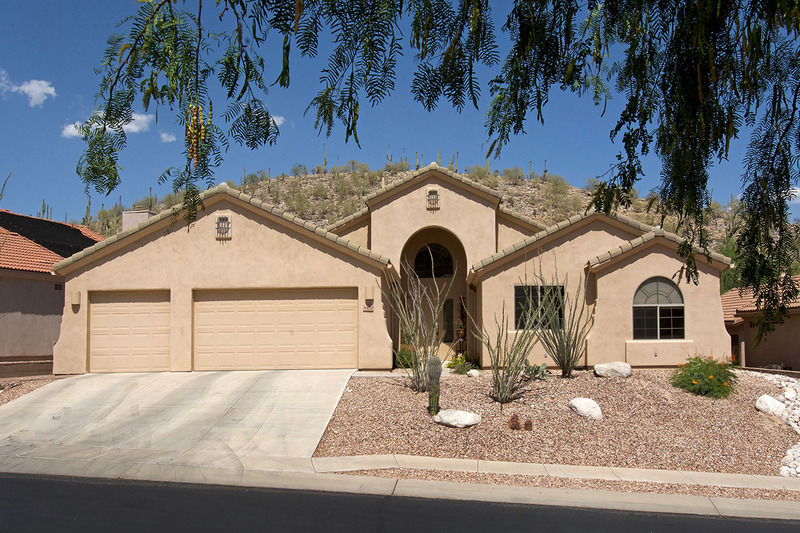 Call me at 520-615-2598 to view it. 7788 E Tumbling Rock, a 4,300+square foot Contemporary, sited on over 2 acres was sold today by Long Realty for $1,040,000. This Outpost Builders home was built in 2006 and originally sold for $1,375,000. It sold for about 25% less than it did when new, but unfortunately it was built when prices were at the peak, so that it sold at this price is no surprise. This home is located at the end of Sabino Mountain Drive and is next to the only other home that is being constructed in Sabino Mountain. 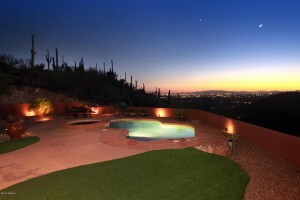 This is the second home that has sold in Sabino Mountain for over 1 million this year! It always surprises me that many homes are marketed without a detailed brochure outlining special features. After viewing many homes, the brochure helps the buyer review what is special about your home. Every home I market has a detailed brochure with professional photos and a two page list of special features of the house. If you want your home to stand out you should have this, too! It is not a Seller’s market so you need every single tool in the chest! Inventory has picked up this year, yet only 6 have sold in the first 5 months. Click on the link: 6 sold in 2014 to view the homes sold this year. It is so important to have an experienced agent who uses professional photography and eye-catching verbiage in the listing. Pricing is of major importance; there is a lot to chose from and fewer buyers than there was last year which was a year where we were just starting to turn the corner from recessive years. The primary photo and the remarks should change from time-to-time to attract new interest. Vacant home Sellers should consider staging. 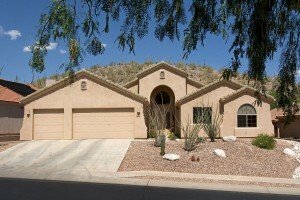 I live in Sabino Mountain and have sold 12 homes here. Give me a call if you are thinking of selling your home! 520-615-2598. At Sabino Mountain, we have 2 homes under contract–their list prices are 315K and $1,050,000. Click on the link to view these homes: 2 Homes Under Contract. You are currently browsing the Sabino Mountain Blog blog archives for June, 2014.